The law firm Nelson, Watson LLP (map) has served clients in Guelph, Kitchener-Waterloo, Cambridge and southern Ontario since 1973. We provide a full range of legal services in real estate, corporate and commercial, civil litigation, employment, family law, wills and estates. In 2015, we joined forces with Wolfe, Smith & Forster LLP in Fergus. While the names of the two offices remain distinct, clients can expect the same approachable, creative and caring approach in both locations. 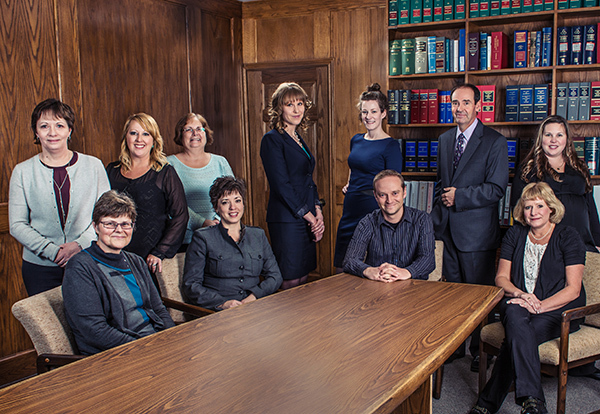 The lawyers and staff at Nelson, Watson LLP take pride in our efforts to serve our clients the way we ourselves wish to be treated when we engage the services of any professional — with professionalism, competence and integrity. In addition to our professional practice, each of us has personal pursuits, which relate to the real world and life outside of law. When you talk to one of our lawyers, you will be speaking with someone who strives to remember that even though we are lawyers, we are first and foremost human beings who have an obligation to those we serve.